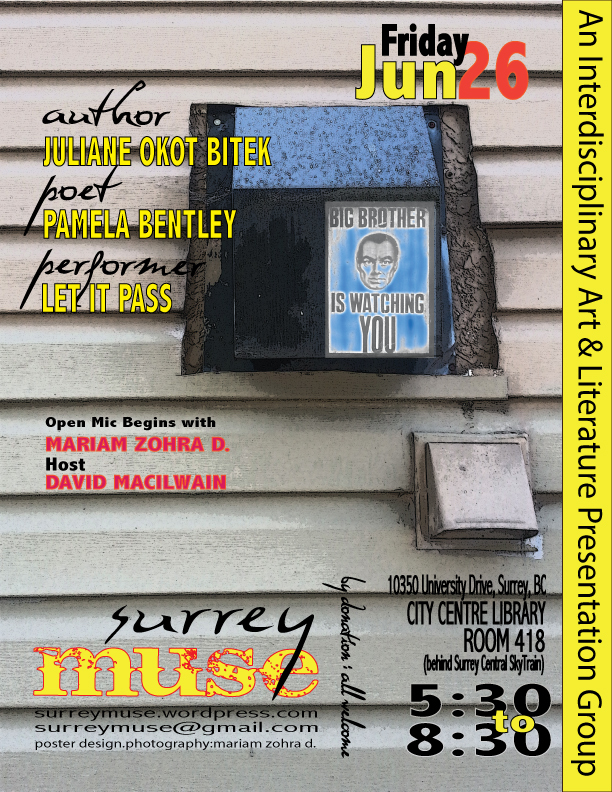 Surrey Muse program is put together twice a year for two sessions, January-June and July November. Participants are invited based on a Recommendations List where names and email addresses are collected throughout the year. Selections for each session invitations are made according to the order in which recommendations were received, the following guidelines modify it to meet our mandate of diversity, representation and voice. Each session program brings 70-75% new (or new to Surrey Muse) features. No one is invited to be a feature in the same year, in the same discipline. Open Mic Openers come from all levels of experience, beginners in their art or fully established. 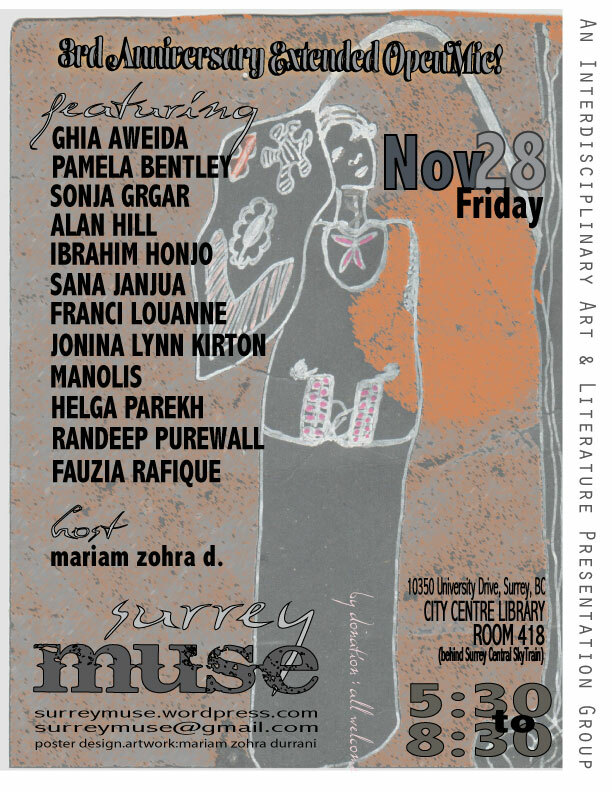 Hosts are always members of Surrey Muse core organizing group. 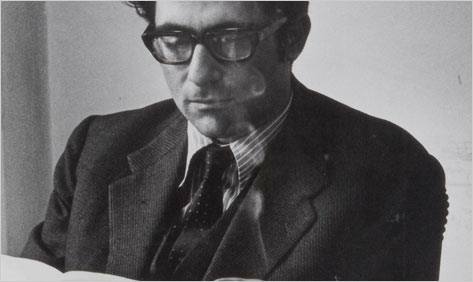 Preference is given to core group members and other authors/artists who are launching new titles or other media.